In today’s modern age of mechanised farming and the reliance on machinery to help improve the productivity. A constant supply of quality fuels, oils and lubricants have become a must for all modern farms. For this reason, we’re proud to have made strong and established links with many in the farming and agricultural community, going on to become a trusted and much relied on part of their businesses. We have a fleet of tankers of all sizes to ensure that no matter how much fuel, or how difficult access is to customers farms and other premises, we can always ensure we’re able to reach even the most difficult to reach farms and other locations with restricted access. If you’d like to learn more about how we can help you, calling today on 0800 917 7493. We can also provide you with a quote and explain more about our flexible and competitive pricing. For many farmers, the low tax duty imposed on red diesel helps to keep fuel far more affordable, than if they were forced to use white diesel (DERV). With all manner of farm vehicles making use of the ‘tractor diesel’, from tractors, through to combine harvesters and other machinery used for harvesting and other activities. Ensuring a steady supply enables them to carry on their work. It’s important to understand that the use of this type of diesel is for off-road usage, hence the secondary name of tractor diesel often being associated with it. Beyond farm use, it can also be used in generators and industrial machinery too, but due to the nature of the fuel and its low tax duty status, there is a lot of legislation surrounding its legal use. So, it would be advisable to ensure that you are fully aware of where it can be used safely and legally, as anybody caught flouting the rules is liable to prosecution. Our team can give you some guidance on its uses, but you would be well advised to check with HMRC directly about legal use of the fuel in case of changes to the legislation. If you do accidentally use the fuel on the road, it may be possible to pay the rebate, but once again, you should check directly with HMRC on this matter. Our advice will always be to ensure you store both red diesel and road / white diesel if you need to use vehicles both on and off-road to ensure you do not run afoul of the law. Of course, as any good farmer knows, there’s a lot more to running a farm than tractor diesel. So, you’ll be happy to know that as one of the UK’s largest fuel suppliers, we can supply a whole range of different fuels, oils and lubricants for use within both farm and agricultural machinery. We believe in helping our customers to benefit from our success, so for that reason. The savings we are able to make from our immense buying power, are passed on to our farming and agricultural customers in the form of lower prices. You’ll be glad to know that our days don’t start and stop within office hours! We understand that your busy schedule revolves around a 24/7, 365 days a year schedule and so does ours. We can deliver the fuels you need, when you need them, 24 hours a day, all year round because like you. Our delivery team don’t take a day off either! 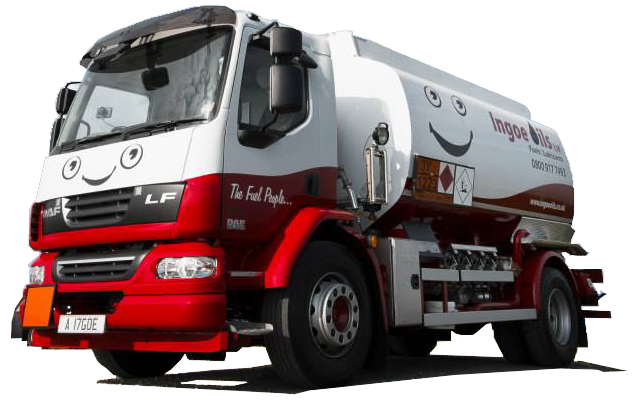 Here at Ingoe Oils, we have a passion for unrivalled service, flexible and competitive pricing together with a personal and friendly service from our highly knowledge team. If you would like to learn more about how we can help you, contact our friendly team by calling us on 0800 917 7493 to discuss your requirements and let us better understand how we can help you.